Dr. Cagigas completed graduate school at SDSU/UCSD Joint Doctoral Program in Clinical Psychology, internship at the UCLA Semel Institute’s Neuropsychology & Exceptional Abilities Track, and a two-year postdoctoral residency in Neurobehavioral Genetics and Neuropsychology, Along with Dr. Christopher Nunez, he created the UCLA Cultural Neuropsychology Initiative (CNI). He continues to dedicate time to developing a bilingual/bicultural clinical service that provides neurocognitive and psychodiagnostic assessments for the UCLA Health System; a bilingual training program for practicum, internship, and postdoctoral students; and an evolving research program in health disparities. As Assistant Clinical Professor and Founding Director of the CNI, he works to create a learning environment where services are provided and also students and professionals learn from patients in a variety of contexts including: tumor and epilepsy resections, organ transplants, geriatric assessments, inpatient psychiatric and rehabilitation consults, educational assessments, and a thriving outpatient bilingual generalist neuropsychology assessment clinic. Dr. Lechuga is the director of The Neurobehavioral Clinic & Counseling Center in Lake Forest. His clinical work focuses on the assessment and treatment of patients with neurological impairments and complex learning disorders. Dr. Lechuga is the neuropsychological consultant for the Los Angeles Kings, Chivas USA, and the LA Galaxy. 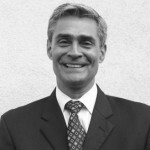 He is past-president of the California Psychological Association, past-chair of CPA’s Division of Neuropsychology, past-chair of the National Academy of Neuropsychology’s Diversity Committee, a former consultant to the State Athletic Commission, and former representative from California to the APA’s Council of Representatives. 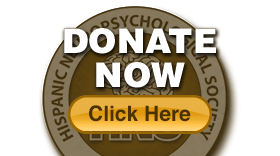 Dr. Lechuga is president-elect of the Hispanic Neuropsychological Society. Dr. Lechuga is board certified by the American Board of Professional Psychology in clinical psychology and rehabilitation psychology. His board certification in neuropsychology is from the American Board of Professional Neuropsychology. He is a clinical instructor (voluntary) at UCLA. He supervises neuropsychological cases through of the Semel Institute of Neuroscience and Human Behavior. Dr. Lechuga serves as an expert witness in personal injury and criminal cases. Dr. Rivera Mindt a board-certified clinical neuropsychologist and tenured Professor in the Department of Psychology & Latino American Latino Studies Institute at Fordham University in New York City, with a joint appointment in the Departments of Neurology & Psychiatry at the Icahn School of Medicine at Mount Sinai. The overarching aim of her work is to reduce health disparities among underserved populations by utilizing her research to inform culturally-tailored interventions and ultimately improve health outcomes among these populations. To this end, her NIH-funded research is dedicated to investigating the effects of HIV, aging, and substance use on the brain, functional outcomes, and health disparities – particularly among U.S. Latina/o and Afro-Caribbean populations. Moreover, the methodology of much of her work is novel in that it incorporates a community-based framework. At Fordham, she is the Director of Clinical Training in the Clinical Psychology Doctoral Program, and also teaches undergraduates. Over the past 15 years, she has developed a strong track record of leadership through HNS; APA’s Society for Clinical Neuropsychology (SCN; Division 40) and Committee on Psychology & AIDS; and the National Academy of Neuropsychology (NAN). She has also served as a grant reviewer for NIMH & NAN, and now serves as the inaugural editor for The Clinical Neuropsychologist’s (TCN) newly launched Dept. of Culture & Gender in Neuropsychology. She maintains a small private practice primarily focused on providing Spanish language neuropsychological services, and serves on the Board of Directors for the Harlem Community & Academic Partnership and SMART University (a community-based organization for HIV+ women). She has received several awards for her contributions to the field, including the Early Career Award from SCN (APA Division 40) in 2011; Early Career Service Award from NAN in 2010; Distinguished Alumna Award for Psychology from Pepperdine University in 2008; and the Professor of the Year Award from Fordham in 2005. In 2012, she was elected a Fellow of SCN (APA Division 40) and NAN. In 2013, she received the Lifetime Achievement Award from SMART University for her work doing research capacity building in the community. In her spare time, she enjoys surfing and traveling all over Latin America with her husband and two children. 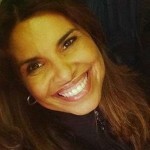 If you’d like to learn more about Dr. Rivera Mindt, please visit: http://www.fordham.edu/info/21660/faculty_and_staff/5436/monica_rivera-mindt or you can find her on FB (DrMonica Rivera Mindt), Twitter (@DrRiveraMindt) & LinkedIn. Dr. Bordes Edgar is a clinical neuropsychologist and Assistant Professor at The University of Texas Southwestern Medical Center in Dallas, TX. She works as the sole neuropsychologist in the Center for Autism and Developmental Disabilities, a joint endeavor between UT Southwestern and Children’s Medical Center Dallas. She is board-certified in clinical neuropsychology by the American Board of Professional Psychology and specializes in the evaluation and treatment of children with neurodevelopmental, genetic, and medical conditions. She obtained her doctorate degree in counseling psychology at Arizona State University with a focus was on Latino mental health and assessment. She completed an internship in Pediatric Psychology at Children’s Hospital Boston/Harvard Medical School and fellowship in Pediatric Neuropsychology at the University of Minnesota Medical School. She has been a member of HNS since 2007 and joined the board as secretary in 2015 in order to increase involvement and a sense of familismo. 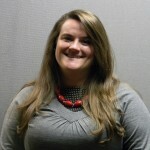 She also serves as the early career representative on the board of trustees for the American Board of Professional Psychology where she hopes to increase visibility for HNS. Although born in Mexico, she was raised in Houston and grew up speaking Spanish. She worked as a neuropsychologist at Barrow Neurological Institute at Phoenix Children’s Hospital for nearly 4 years where the majority of her patients were Spanish-speaking Latino children with medical and neurological issues. There, she worked with several bilingual graduate students, along with interns and postdoctoral fellows, teaching multicultural/multilingual assessment and conducting supervision in Spanish. Dr. Bordes Edgar recently moved to Dallas to be closer to family. She and her husband have a 3 year old daughter named Claudia and a baby boy named Cristian. Dr. Belén is the director of International Neuropsychology Consultants in Dallas, TX. 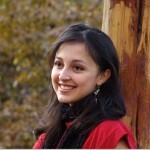 Originally from Albuquerque, New Mexico, she studied Spanish language and culture at the University of New Mexico. She received her doctoral degree from Carlos Albizu University and completed internship and residency training at Jackson Memorial Hospital, University of Miami Miller School of Medicine. She is responsible for the successful development of Pate Rehabilitation’s Spanish language brain injury rehabilitation program which earned exemplary recognition from CARF in 2013. 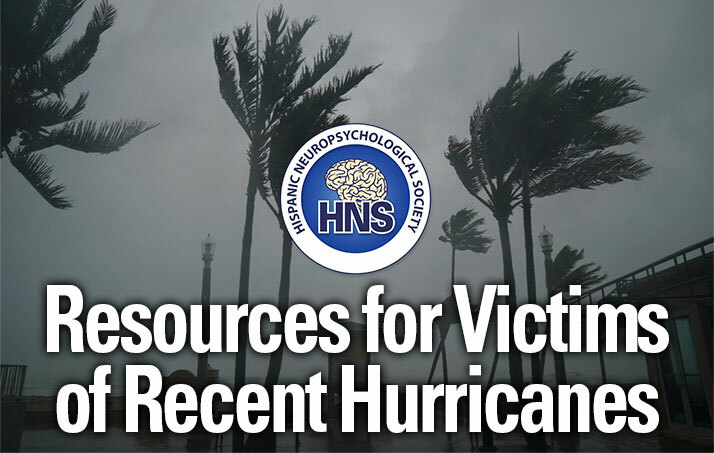 Holding the position of Secretary for the Hispanic Neuropsychological Society, Dr. Belen seeks to gain better insight into the needs of HNS membership and to continue HNS’ legacy of mentorship and familismo. Dr. Berrios-Siervo is a licensed psychologist with specialized training in neuropsychology. 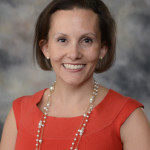 She currently holds appointments as a Pediatric Neuropsychologist in the Neurology Division at Children’s Hospital Colorado and as Assistant Professor in Pediatrics and Neurology at the University of Colorado School of Medicine. She earned a Psy.D. in Clinical Psychology from Carlos Albizu University in Miami, Florida and was awarded Doctoral Student of the Year in 2010. Her doctoral dissertation evaluated behavioral outcomes of children pre and post hemispherectomy for the treatment of intractable epilepsy. 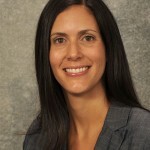 Dr. Berrios-Siervo completed her internship at Miami Children’s Hospital with a focus on pediatric psychology and neuropsychology as well as a two year post-doctoral fellowship in pediatric neuropsychology and neuroimaging at Dartmouth Hitchcock Medical Center/Geisel School of Medicine. Me mber-at-Large: Marcela Bonafina, Ph.D.
With a psychology degree obtained from the University of Buenos Aires in 1993, Dr. Bonafina earned her Ph.D with a specialization in Neuropsychology from the Graduate Center of the City University of New York in 2003. Mostly dealing with Spanish-speaking populations, she first worked as a Research Assistant in the Department of Child Psychiatry in Mount Sinai Hospital and in the Department of Child Psychiatry at Columbia University, and later worked as Research Scientist within the Department of Neuroscience at the New York State Psychiatric Institute. In 2003, she was appointed Assistant Director of the Traumatic Brain Injury Unit at Bellevue Hospital-New York University School of Medicine, where she supervised interns and externs rotating in the TBI unit. In 2007, she became a Senior Psychologist in the in the 9/11-WTC Mental Health Program in Bellevue Hospital working in the diagnosis and treatment of Hispanic patients. Later, she moved to Los Angeles and became a staff neuropsychologist at CedarsSinai Medical Center. Most recently, she has been Associate Director of the International Pogram of the Northeast Regional Epilepsy Group and worked as a consultant for the Manhattan VA and several federal agencies (TSA, National Guard). Currently, she works in private practice. After being a Professor of Neuropsychology in the University of Buenos Aires, in 2003, she was appointed Clinical Assistant Professor in the Department of Psychiatry at NYU and later became Adjunct Assistant Professor at Columbia University. 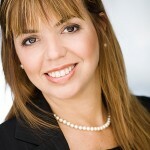 She has participated in the boards of several scientific societies and advisory committees, including being President of the Association of Hispanic Mental Health Professionals and Secretary of the SLAN (Sociedad Latinoamericana de Neuropsicología), where she participated since its foundation in 1989 until 2012. Currently, she is also in the advisory Board of Sonepsa (Sociedad de Neuropsicología Argentina). Student Representative: Johanna Rengifo-Nevarez, Ph.D.
Dr. Rengifo has served as the student representative for the Culture and Diversity Committee of NAN in 2014. She is also the co-founder and former president of her school’s first Latino Student Organization – Palo Alto University Latino Student Organization (PULSO). PULSO proudly helped create her school’s Spanish outpatient mental health clinic, which opened this Fall 2014. This clinic serves the growing Spanish-speaking population in Silicon Valley at sliding scale rates. PULSO also coordinated numerous community educational events that support local Spanish-speaking mental health providers, and has purchased Spanish tests and other educational materials on Latino mental health for the school library. Johanna is originally from Northern California, born of Colombian parents who migrated to the U.S. in the early 70’s. She received a B.A. in psychology from UC Berkeley and Ph.D. in clinical psychology from Palo Alto University with two emphases 1) clinical neuroscience in women’s health in collaboration with Stanford School of Medicine and 2) neuropsychology. She completed her internship at the Tampa VAMC and is currently a Gero-Neuropsychology postdoctoral fellow at the Miami VAMC. Her research interests include Latino caregivers of Alzheimer’s disease, chronic stress, cortisol, and depression in older adults. Student Representative-Elect: Beatriz MacDonald, Ph.D.
Beatriz MacDonald, who goes by Tish, was born and raised in Guatemala. She earned her Bachelor’s degree in Psychology with a specialty in Mind, Brain and Behavior from Harvard University in 2006. In 2014, she graduated with a Ph.D. in Clinical Psychology at the University of Denver, under the mentorship of Dr. Bruce Pennington. While her academic emphasis was in neuropsychology, multicultural awareness, and statistics, her dissertation compared the reading development of children across socioeconomic status in the United States. Tish completed her internship in clinical psychology/pediatric neuropsychology at the University of New Mexico, where she is currently completing her Postdoctoral Fellowship in Pediatric Neuropsychology. She conducts neuropsychological and neurodevelopmental evaluations at the Center for Development and Disability, Center for Neuropsychological Services, and Division of Community Behavioral Health. Fluent in Spanish and English, she has been trained to conduct bilingual multidisciplinary evaluations for children with Autism Spectrum Disorder. In Guatemala, Boston, Denver and now Albuquerque, she has been fortunate to work with Spanish speaking, bilingual, and Native American families. 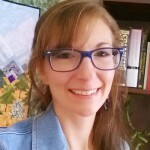 This work has allowed her to focus both her clinical and research interests on how to better understand the impact that different factors (e.g., socioeconomic status, language, and culture) have on neurodevelopment and how it informs culturally-competent neuropsychological clinical practice.